I am going to be travelling around Vietnam/Cambodia/ and Laos for 6 weeks from the 1st of July. We are going to be free agents really - so was just wondering if anyone has any handy tips they can give us? Places to go? Nice Towns? Cheap accomodation (e.g. beach sleeping?) things to do, architecture, dangers? things to be wary of? etc. etc. Any help would be much appreciated. Also - I have heard you can get the visa from the Vietnamese border? - Is this true? Or will I get there and not be allowed in the country! I assume I need to fill in forms etc and take them with me - but if anyone has first hand experience that would be great. You've come to the right place, since there is information on this website to answer all of the questions you've asked. Take a peek around first, and then come back with more specific questions and you'll get much better and more useful answers that way. To get you started, I'd say that the UNESCO World Heritage Sites of Luang Prabang in Laos and Angkor Wat in Cambodia are must sees. A few tips might be that they prefer US dollars as the currency in Cambodia, and there are no international ATM's in Laos. 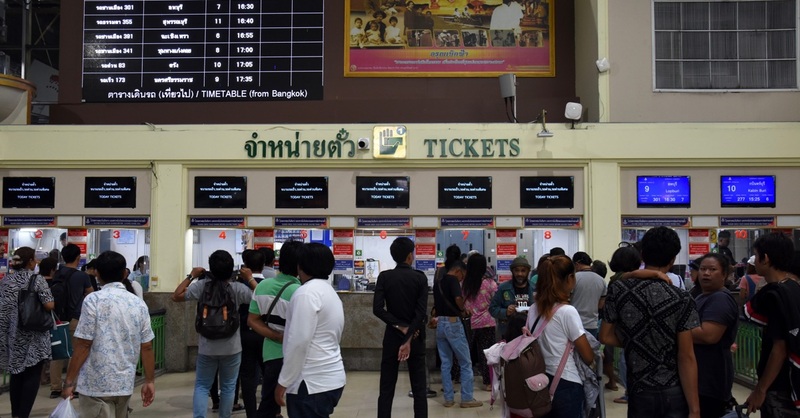 Be wary of certain tourist package deals, like combi travel tickets for Bangkok to Siem Reap or Chiang Mai to Luang Prabang. Also, as far as I can tell you cannot get a visa on arrival in Vietnam, and will need to apply for one at a Vietnamese Embassy or Consulate before you arrive at a Vietnamese border. You should have plenty of time to apply before you depart, but if not, just set up your itinerary so you can obtain a visa in Bangkok, Vientiane, or Phnom Penh. If you don't wish to visit the embassy yourself, travel agents will often do this service for you for a fee. I hope this helps to get you started. Have a great trip. Just to confirm exacto's comment -- you will need a Vietnamese visa in advance.